Those who think that veganism is for wimps should check out the hearty plates of filling fodder served up at the Black Cat café, a book-filled Hackney haven on Clarence Road. 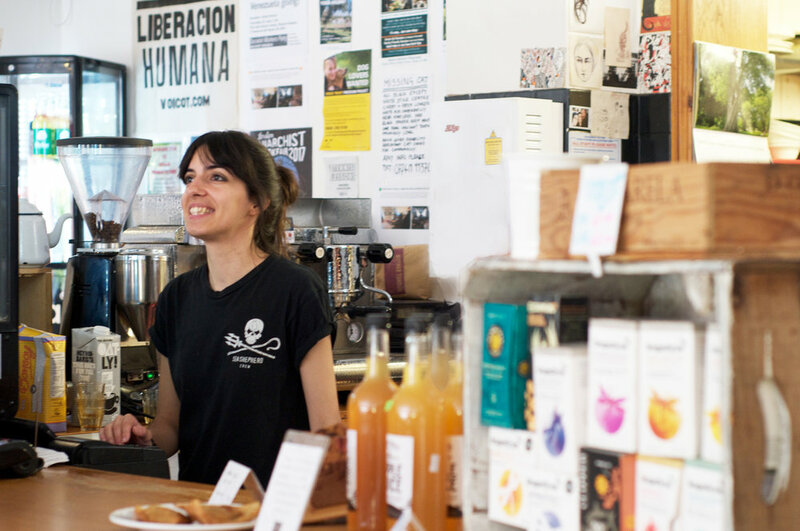 It's a place where food and politics meet, for a Zapatista coffee and a sugar-free Manna cake. The café is run by the Black Cat cooperative, and decisions about running the place are made collectively. An equal element of the ethos is making Black Cat part of the community – on Tuesday evenings the space is used for spoken word events, political meetings and discussions, and events such as Feminist Bingo. This is the thinking person's corner café – the shelves are piled up with tomes about the politics of food, revolutionary struggle and alternative ways of living. A copy of 'The Vegan's Guide to People Arguing with Vegans' suggests that those who choose not to dine off our animal chums have to harden themselves against critiques of their behaviour. Perhaps disbelievers should try a piled-high plate of Black Cat's comfort food: there's a daily special, plus a choice of a curry, burger or pasta dish. Another speciality is their thick fruity milkshakes. 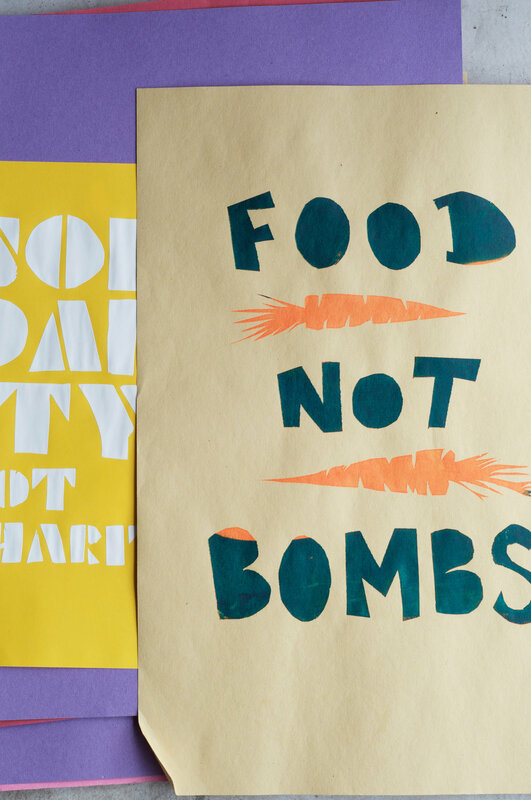 When Eat Hackney visited, Food Not Bombs were preparing for a Tuesday-night residency and producing beautifully bright posters to display. Food for thought, and plenty of it – Black Cat had us purring. At Black Cat Café they keep their scramble simple. It’s part of the full ‘English’ breakfast, and they want it to complement, rather than overpower, the rest of the things on the plate. However, if you’re going to make scramble on toast – then they totally think you should add in some extra flavours! 1 block (around 250 gr of firm tofu: Black Cat use Clean Bean Tofu, made in Brick Lane). Unlike other recipes it is not necessary to press the tofu for this recipe because it works best when it retains some moisture. Finely dice the onion and leek. Crush or finely chop the garlic. Mix the spices. Cook for about 10 minutes, stirring occasionally and add splashes of water if necessary to keep it from sticking. Add nutritional yeast, finely chopped spring onions and sesame oil. Add the kala namak (it really adds a eggy taste and smell to the scramble). Cook for a couple of minutes while you prep your toast, then garnish, serve, and devour!